NANAIMO – General George R. Pearkes Seniors Housing society dissolves, Nanaimo Affordable Housing takes over assets. Oct. 2, 2014 5:00 p.m. The General George R Pearkes Seniors Housing Society has turned over its assets, including an 82-unit seniors housing complex, to Nanaimo Affordable Housing. The deal between the non-profit societies, which also includes a community activity centre and maintenance and housekeeping staff, transpired after the seniors housing society voted to dissolve several months ago. General George R. Pearkes housing, located at 10 Buttertubs Dr., is a seniors supportive housing project that serves tenants who want it, one meal a day for tenants who require it and light housekeeping. Spinelli said those services will be maintained. In 2009 B.C. Housing spent $1.7 million on renovations and upgrades to bathrooms and fire suppression systems in the housing units – built in 1969 – and the activity building, but in about 10 years the property will have to be redeveloped into new high density seniors housing. Betty Barthel, president of General George R. Pearkes Housing Society, said she is relieved the Buttertubs Drive property will remain affordable housing and that the new management is prepared to oversee redevelopment of the property into higher density affordable housing in the future. 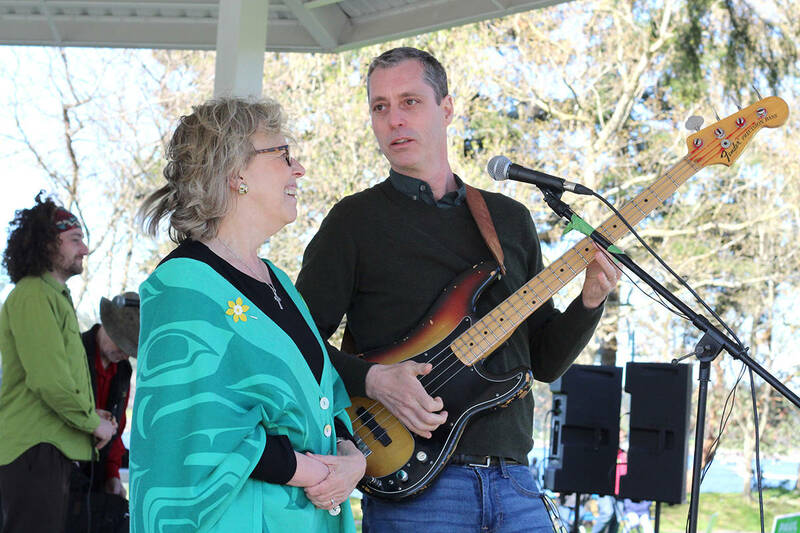 Barthel while she was looking for a solution the dilemma she happened to read an article featuring Spinelli who said the Nanaimo needed more affordable seniors housing and Nanaimo Affordable Housing was looking for property. “It was like, Bingo, we need to rebuild our affordable housing for seniors and we’ve got the property to do it and they were looking for property,” Barthel said. The amalgamation of assets doubles the number of units under Nanaimo Affordable Housing management to 163 units. The society currently operates projects at 510 Pine St., 350 Prideaux St., 153 Wallace St., and 2104 Bowen Road and has also begun construction – along with Columbian Centre Society and Haven Society – on 41 units of affordable housing at 1597 Boundary Cr. scheduled to open in late fall of 2015.